The ancient Buddhist site, Ambaran, dating back to 2nd century B.C. 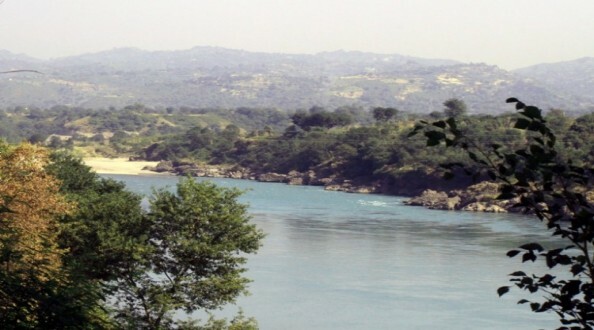 to 7th century A.D., is located near the Jammu region of India. The Srinagar Circle of Archaeological Survey of India (ASI) carried out excavations for two seasons between 1999 to 2001 and 2008 to 2010, making it one of the latest Buddhist site discovered by the ASI. During the excavation, Buddhist monastic establishment from the period of 1st to 3rd century A.D. was unearthed. A stupa, votive stupa, and walls of a monastery were exposed all built of burnt brick masonry. Among important antiquities found at the site are: a large number of decorative terracotta statuettes, semiprecious stone beads, leaves and ornaments, terracotta skin-rubber, iron nails, and copper objects. 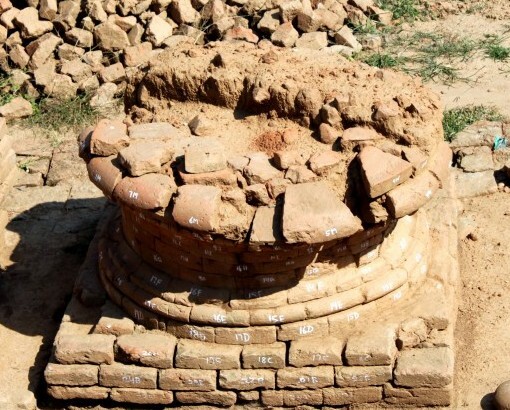 The most significant and distinguished Buddhist bricks structure Spoked-Wheel (Dharmachakra) Stupa was unearthed during the scientific clearance work at the site in the year 2008–10, exposing the remains of its platform with missing super structure. The structure is the first to be found in Jammu and Kashmir State, the northernmost part of India. The exposed bricks structure, according to the information provided by ASI, is similar to famous excavated Stupa of Nagarjunakonda (found in Andhra Pradesh, South India) and Sanghol (found in Punjab, North India). 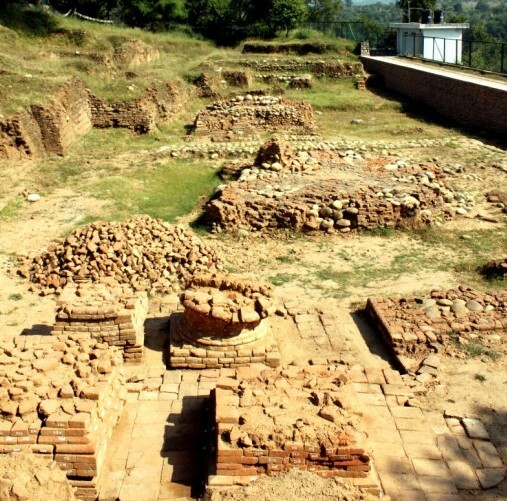 The archaeological site is locally known as Pambaran, lies north-west of Jammu city on the right bank of river Chenab, just one kilometer away from the northernmost remains of Harappan and pre-Harappan civilization site which now lies within the precincts of the local Akhnoor city’s fort.